View More In Lighted Holiday Displays - Page 10. 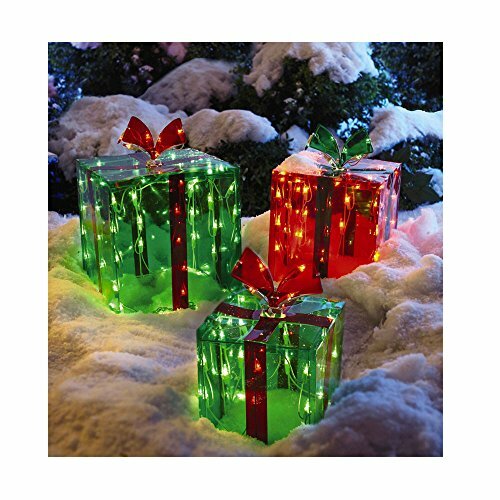 Our bright set of gift boxes with 150 clear lights makes a cheerful holiday statement in the yard, on the porch or anywhere inside your house. These festive presents with an illuminated presence are a great way to decorate for Christmas. If you have any questions about this product by nt, contact us by completing and submitting the form below. If you are looking for a specif part number, please include it with your message.